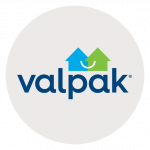 Valpak of Northern Arizona knows how to make your customer numbers climb with locally targeted direct mail and digital marketing. Get inside The Blue Envelope® with enticing offers designed to inspire consumer action. If you’re looking for budget-friendly local advertising in and surrounding Prescott for your small business, shared direct mail is an effective and affordable option. Take your small business marketing up a degree with Valpak’s digital marketing solutions. Gain greater exposure online with a business profile page on valpak.com or target customers searching for what you offer using strategic keywords, regardless of your type of business: home improvement, automotive, retail, restaurant and many others. Valpak of Northern Arizona is certified by Google Ads, so you can be confident in our ability to increase your brand exposure. With Valpak of Northern Arizona, your advertising performance is never hiding under a rock. You will always know how your campaigns are working with our proprietary performance dashboard and call tracking tools. These reveal actions taken on your marketing campaigns, enabling swift campaign adjustments when necessary, producing greater outcomes and higher ROI. Achieve your peak reach throughout Yavapai County and north central Arizona when you partner with Valpak of Northern Arizona. For specific dates and coverage, contact your Valpak of Northern Arizona representative.